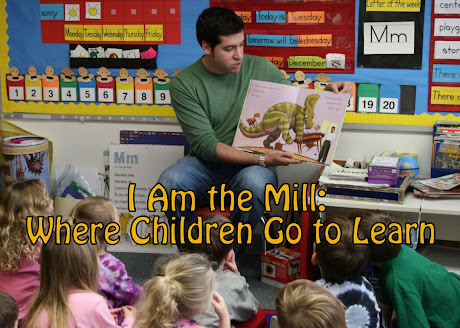 I Am The Mill: The Greatest Candy In The World? I couldn't wait to share the news. No, this has nothing to do with Eliot Spitzer's illicit sexcapades. What you're about to see is much, much tastier. Literally. Chunks of pig suspended in candy - better not be a joke. 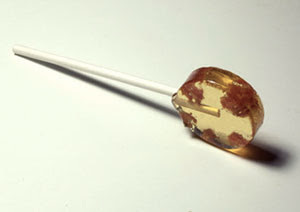 If you haven't figured it out from the name of the web link, it's a maple-flavored lollipop, with chunks of honest-to-goodness smoky, salty, delicious bacon trapped inside. 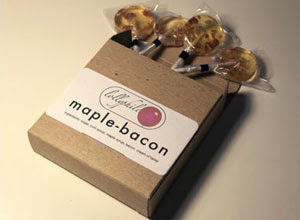 The maple candy serves as a sort of Bacon Bastille - the bacon is just waiting for your saliva to release it from its sugary prison. Is this some kind of cruel joke? Will I be forced to spend even more time on this god-forsaken planet, without being able to enjoy the undeniable and foreordained union of bacon embedded in pure candy? I certainly hope not. And if the US Postal Service can get their act together, I should be enjoying these treats within 2-3 business days. In any event, I hope to receive the bacon lollies soon. And when I do, you can be sure that I'll write a proper review. Listen, I won't sit here and lie to you. That's not my style. My expectations are sky-high for this product. After all, we're not talking about simple bacon-flavored candy here. That would be crap. We can already find bacon-flavored jellybeans, all over the internet. And gummy bacon, despite its promising name, is nothing more than strawberry-flavored gummy candy shaped like bacon strips. Again, pure crap. This product, however, is a miracle of candy-engineering. Until that package arrives (on Wednesday, fingers crossed), I can only dream of what the experience will be like. Seeing those bacon chunks confined in a finely-crafted case of translucent, golden candy, only serves to motivate your salivary glands. "Get working!" the bacon calls out, "I don't have all day!" Pack of 4 bacon lollies: $10. Go ahead. Lick that bacon to freedom. It will thank you with its savory swine-a-licious-ness. I'll return to this topic in a few days, God willing, and let you know how it goes. I thought you don't like to mix your sweet with your savory. Yes. That is normally the case. But bacon goes well with anything. ANYTHING.